Hello my friends! Welcome back for another exciting season of the “One Room Challenge™ HERE! Woo Hoo! I am so happy to be a guest participant once again in this amazing event hosted by the lovely Linda from “Calling It Home HERE“. 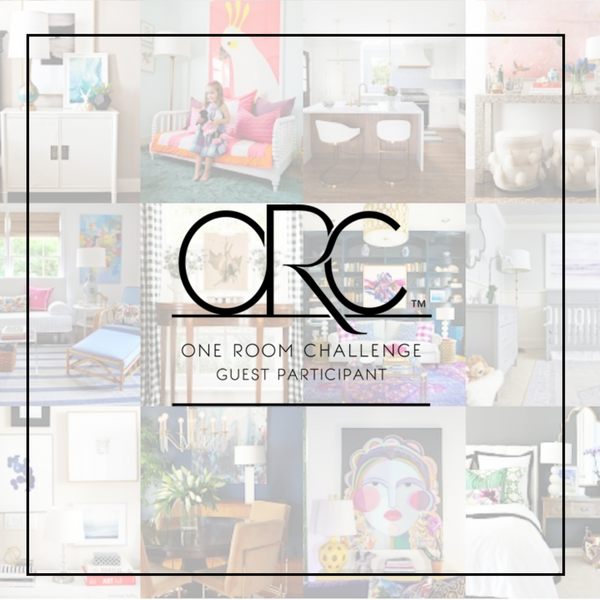 This is my 4th season as a guest participant with The One Room Challenge, and I love the experience more and more each go around. All the participants are truly inspirational in their style and designs, with each season bringing on new talent. Definitely check out the prior seasons, you will be amazed with the rooms these designers and guest participants have transformed HERE. You can also check out my prior participations in the challenge below. Here is a link to another ORC challenge I did from our prior home. What Room Will We Transform this Season? This go around has me designing and building (with my husband’s help) a wine cellar in our home. The space is located in the basement of our house, and prior to us moving in, the room was used as a cigar room. The space was specifically designed to be a “smoking” room by the prior owner. The room was built out with ventilation equipment installed behind the black doors on the left and the right sides of the entrance. There is also smoking ventilation installed in the ceiling of the room. Between you and me, I don’t think the room was used for only cigars and cigarettes! The entrance door to the room is an “old world” door, which is very heavy and beautiful, but was colored with a reddish stain…which I don’t love, but I plan to fix. The door also locks from the inside…interesting right?! On the inside of the room, the walls are stone, which I do love, and the ceiling is painted black. Another interesting fact about the room, the recessed lights have red bulbs in them. Can you tell the prior owner was a bachelor, these pictures are from when he lived in the house. All in all, the room has many great qualities and is spacious at 12 ft by 14 ft. I am confidant that the right design will make this space a beautiful wine cellar and tasting room. Our wine cellar will have a traditional design with wooden racks. Here are some inspirational photos from my Pinterest page. I had hoped to build our wine cellar for the last go around of The One room Challenge but quickly discovered the lead time and preparation needed to design such a space would not fit into the six weeks required to complete the challenge. But I am prepared for this go around and have partnered with a fabulous company in designing a cellar that will meet all our needs. I am excited to share all the details with you. You can check out my Pinterest Board HERE on Wine Cellars, and follow along on Twitter HERE and feel free to pin and tweet your favorite pics from Happy Haute Home. Make sure to check back next week to see our progress.